Here at Marin Subaru, we've made it our mission to turn your driving dreams into reality! We make that possible by providing award-winning vehicles and world-class customer service to all drivers throughout Oakland and all of the San Francisco Bay Area. We always go the extra mile to assure your complete satisfaction with our automotive services! We're the only place to go if you're seeking a safe, reliable and family friendly new Subaru in the Bay Area! We encourage you to "drive the bridge and save" on new Subaru vehicles including the Ascent, Crosstrek, Forester, Impreza, Legacy, Outback, WRX and BRZ! When you visit us in San Rafael and get behind the wheel of one of our new cars or crossovers, you'll quickly understand why Subaru has won countless awards for its unparalleled safety, dependability and performance standards. Out of all Subaru vehicles sold in the last 10 years, an amazing 96% are still on the road today! With the exception of the sporty rear-wheel-drive BRZ, all Subaru vehicles are equipped with a Symmetrical all-wheel-drive system, to handle the toughest driving conditions around the Bay Area. But this high-tech drivetrain is only one of the advanced features you will find in a new Forester, Outback, Crosstrek, etc., as Subaru remains a leader in automotive technology! It's for these reasons and more that Subaru was named "Best Performance Brand" and "Best Overall Brand" by Kelley Blue Book! There's no denying the appealing qualities of a new Subaru vehicle for families and commuters. But, we understand that a new vehicle might not suit your needs or budget. That's why we do our best to seek out quality used cars, trucks, SUVs, and vans to add to our inventory. For the best of both worlds, be sure to check out our selection of Certified Pre-Owned Subaru vehicles. That way, you can enjoy the best qualities of a new car, but at a mere fraction of its original cost! Needless to say, you'll drive with the confidence of knowing that your pre-owned vehicle has passed a comprehensive inspection to guarantee its original quality and long-term health! We know that our job is just beginning after you've chosen your next Subaru or used car. And so with that in mind, we offer the full scope of automotive services from auto financing to service and repairs, from parts to accessories! Once you've chosen a vehicle, whether it's new or "new to you", we are here to provide the helping hand of our Auto Finance Center. Our team of finance experts will guide you throughout the financing process to guarantee that your needs are met! We'll make it easy for you to decide whether to buy or lease. We'll help you secure an auto loan from a local lender. We'll even help you develop a budget-friendly payment plan. With our assistance, you'll be driving your new car before you know it! Now, while the Subaru brand typically retains its initial quality throughout its time on the road, like with any high-performing vehicle, it is going to need a tune-up or some maintenance every now and then. When that time comes, head to our Bay Area Service Center, where we would be happy to get everything fixed for you. We're staffed by a team of factory-trained technicians that are equipped to provide all services from major repairs and bodywork to oil changes, brake adjustments, tire rotations, engine tune-ups and much more! Don't bring your prized vehicle into just any corner garage when we provide quality assurance and extended warranty coverage for all the work performed on your car! You can rest assured that we only used Genuine Subaru Parts and Accessories that have been specifically designed and formatted to fit your vehicle. We know that there's simply no substitute for the real thing! 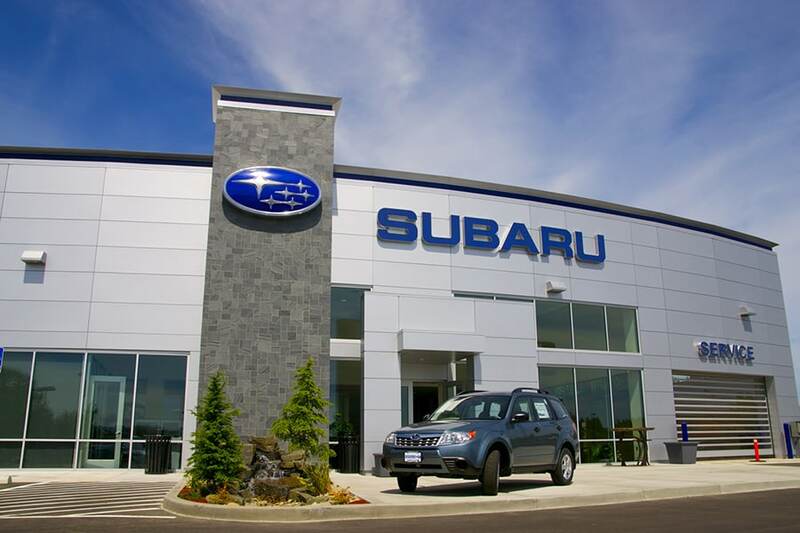 So with all that said, why not discover the joys of driving a Subaru by visiting us at Marin Subaru in San Rafael. Drive the bridge and save!